My HR Hub has launched a supportive, confidential and fun business community for professionals who have responsibility for HR in their organisation. 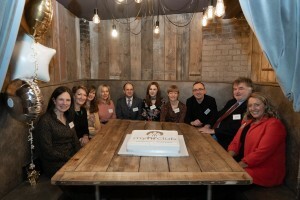 Some of the My HR Club partners, L-R: Clare Lees (Clare Lees Executive); Helen Morley (HR Consultant); Debbie Clarke (Debbie DooDah Marketing); Sue Gott (HR Consultant); James Keeling (JGK Financial Management); Bethan Roles (Breathe HR); Lesley Challinor (Validium Group); Sean Maher (EasyWeb Group); John Stallard (Warlord Games) and Rebecca Bull (My HR Hub). She added: “I wanted to create the support network I always dreamt of having in the stand-alone roles I had over the past 20 years. I have created what I needed and what would have benefitted me and the companies I worked for. 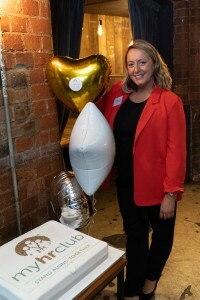 For more information about My HR Club, click here.